On Friday(April 13th) Juana Acosta & Eugenia Silva attended the 2018 Malaga Film Festival Gala Inauguration in Madrid, Spain. Juana Acosta wore a H&M CONSCIOUS EXCLUSIVE 2018 green floral calf length dress which featured a pleated skirt and side pockets which she utilized. To compliment her look, she added a pink lip and ponytail to her beauty look. Statement earrings and a silver clutch & pumps finished up her look. 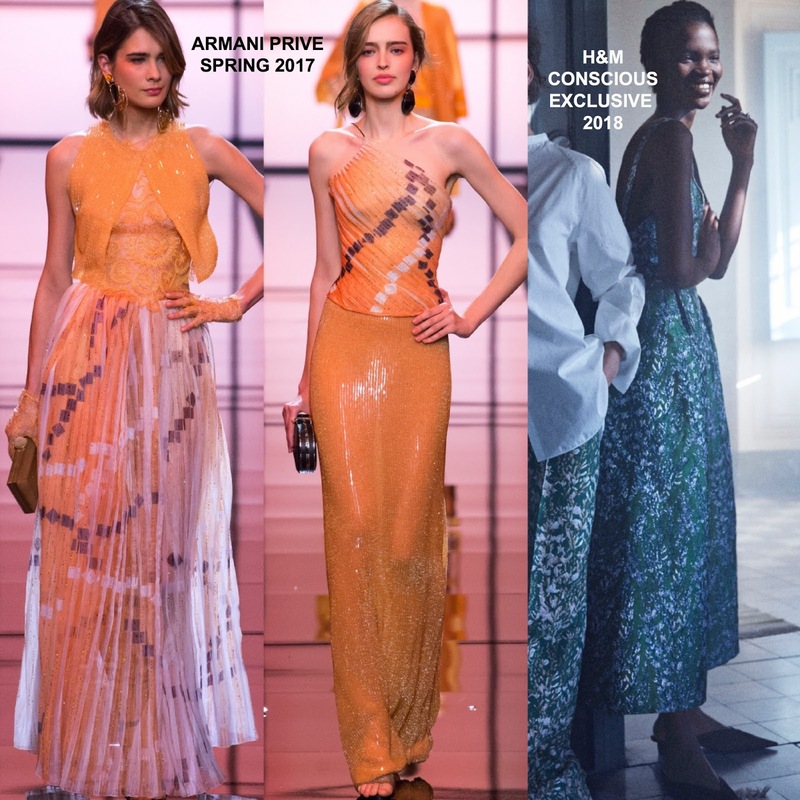 Eugenia Silva wore a ARMANI PRIVE SPRING 2017 orange sleeveless sequin & lace layered crop top and a orange sequin floor length skirt. Eugenia pieces were styled her pieces opposite the runway and I am glad that she did. However I can't say that I am loving the top. A statement clutch & jewelry, red lips and side parted medium waves finished up her look.